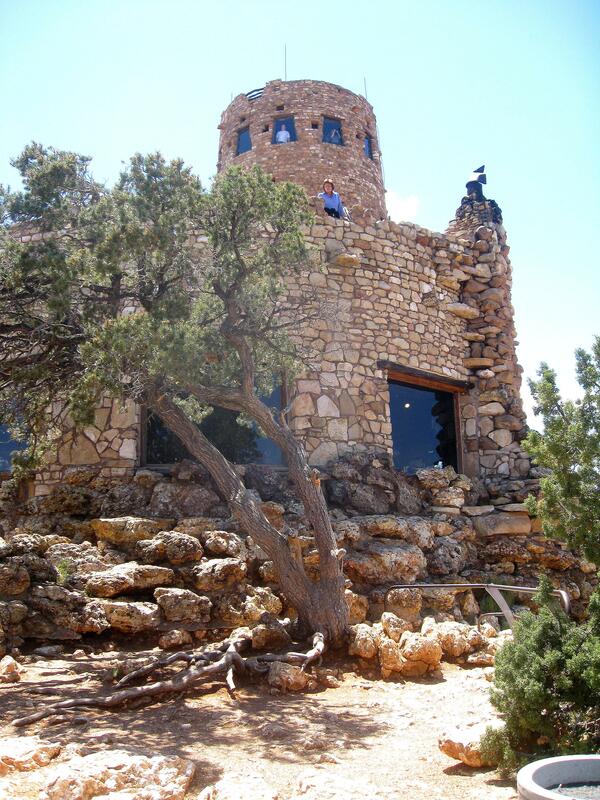 Mary Coulter’s Desert View Watchtower that overlooks the Grand Canyon near the east entrance to the national park looks older than it is. It was built in 1932 to resemble an ancient Pueblo Indians’ watchtower, but on a larger scale. 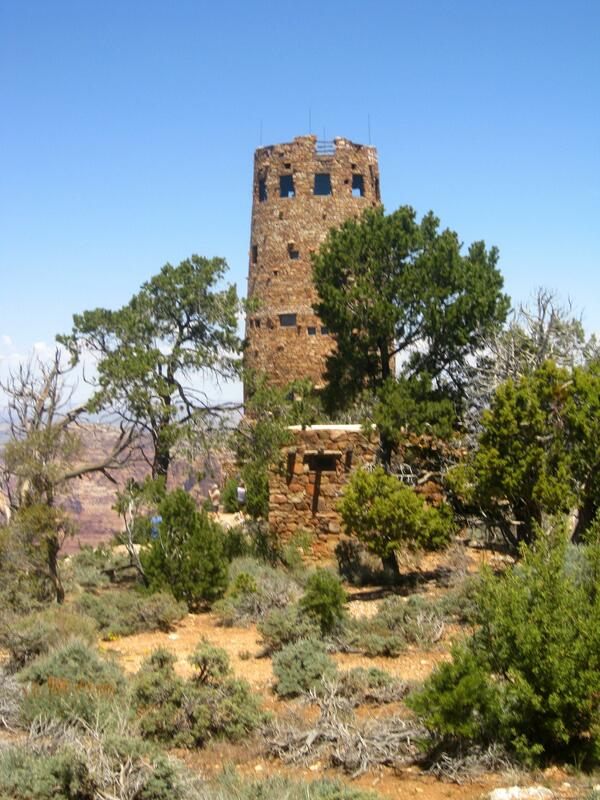 I think it fits into the landscape well, as do Coulter’s other Grand Canyon buildings that include the Phantom Ranch buildings on the canyon floor and Hermit’s Rest, a rustic lookout structure at the western edge of the Rim Trail. Born in 1869, Coulter was a rare female architect for her time. The four buildings she designed for the Grand Canyon now all have National Historic Landmark designations. I braved the jam of people in the tower’s ground-floor gift shop to climb the 85 steps that narrowly wind to the stop of the tower. My reward was a 360-degree, panoramic view of the canyon, and the surrounding high desert. Bean’s Pat: Comfort Me With Ice Cream http://tinyurl.com/7plaftb Although circumstances may be different, I can relate, although for me it’s Ben and Jerry’s (Anywhere), Farr’s (Utah), or Blue Bell (Texas) that provides the comfort.